The owners understand the meaning of hospitality and will give you plenty of advice on how to enjoy your stay in the city. Free parking is available and there are lots of good restaurants in walking distance. Superb place! Very warm welcome on arrival. Central location and walk into town. Excellent freshly cooked breakfast the next morning with rare breeds and sour dough toast. Everything was perfect. 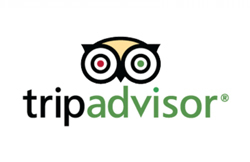 View our Trip Advisor reviews here.